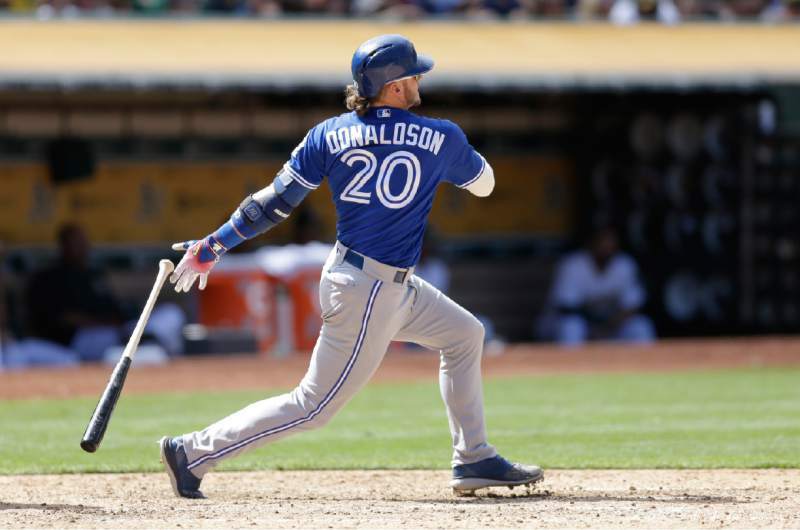 Josh Donaldson was given the nickname “bringer of rain” due to his propensity to hit long, high-flying home runs that carry out of the ballpark majestically. The San Diego Padres are reportedly on the lookout for a third baseman, and the free agent could eventually be the answer. ** Josh Donaldson signed a one-year deal with the Atlanta Braves on Monday morning essentially making this piece obsolete. It’s been widely reported that the San Diego Padres are actively exploring third base options for 2019. Eugenio Suarez has been linked to the Friars. The Reds could be enticed to deal their third baseman if a team meets their lofty asking price. With Reds’ rookie Nick Senzel just about major league ready, the deal does make some sense for Cincinnati even though Suarez is signed to a team friendly deal. Senzel is a real special talent and should be given an opportunity to play. The Padres have depth in the minors to get a deal done with the Reds, but perhaps the team should explore other options before emptying the farm system for one single player. You have to believe that the Cincinnati Reds will want top dollar for Suarez when it is all said and done. Looking over the current free agent list at third base, there is one glaring names that stands out as a possibility for San Diego. Josh Donaldson is a former AL MVP who, at the age of 33 is a free agent for the first time in his professional career. The third baseman is coming off an abysmal year in 2018, where he struggled to stay healthy only playing in 52 games between the Toronto Blue Jays and Cleveland Indians. He put up a .801 OPS in 2018 which is far off his career average of .874 The right-handed hitter picked a horrible time to have a down year. 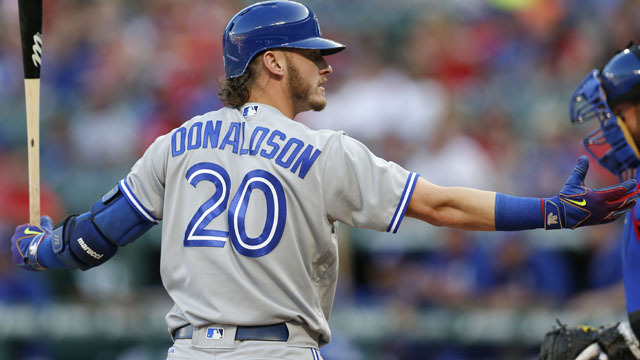 Heading into the winter, it is safe to say that Donaldson could be had at a very reasonable price. Josh Donaldson is not the longterm answer for the team at the position, but he could be extremely serviceable to the Padres. He is known for being a gamer and is extremely tough. He would be a great mentor to young players on how to play the game correctly. 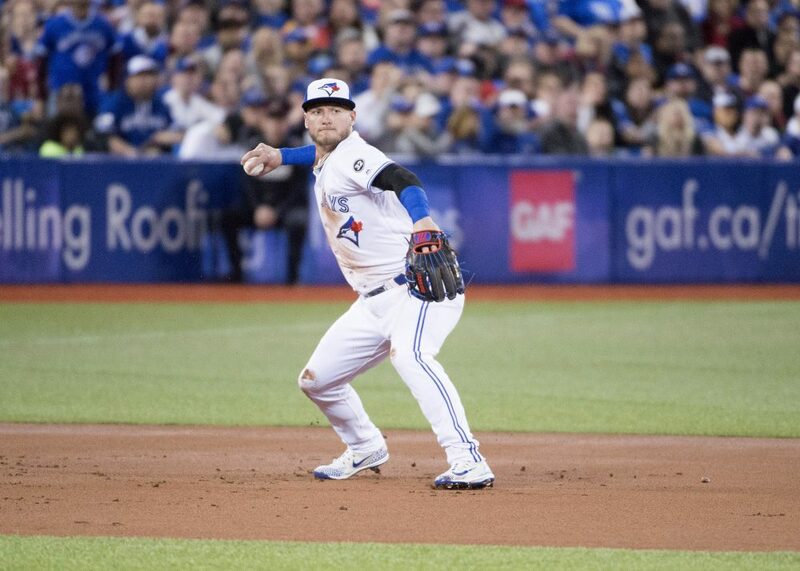 Donaldson struggled to find success in the game initially. It took him a while to break out and he surely appreciates all the struggles he endured before success. He has grinded for everything he has attained in the sport and that provides a lot of respect in a major league locker room. The price tag for Donaldson is up for debate. He made $23 million dollars last year but is due for a pay cut. At 33, his best days are probably behind him. The Padres would be wise to offer Donaldson a two-year incentive laced deal. I would guarantee the former MVP somewhere near the $10 million dollars per season range, but allow him to raise his annual salary with an exceptional year in 2019. The Padres have nothing to lose by going this route with the future. Keeping the prospects in the system will only benefit the team when they are truly ready to compete in the game of baseball. When healthy, Josh Donaldson is a special player. From 2013-2016 he put up a 31.3 WAR which is an average of 7.8 WAR per season. The Padres have never had a player put up numbers like for four years straight. With Hudson Potts still developing, the Padres could use a veteran presence to pencil in the lineup each and every day. The more you think about it, the more it is time to bring Donaldson to America’s Finest City. Josh Donaldson and his epic bat would be a welcome addition to the Padres as the city of San Diego could always use some more rain. For $23M, AA and the Braves can have him. So much for this train of thought. The Braves just inked him to a 1 year $23mm deal. Oh well. There will probably be another team willing to beat that deal. *overpay. Where is the auto correct when you need it? I’m on board with this. Just don’t I eroay, and no more than 3 years. IF the Padres believe Hudson Potts is the 3B of the future or Xavier Edwards is the SS of the future (with Tatis moving to 3B), then “yes” Donaldson makes a lot of sense.